Dr. Flowers has over 30 years of experience performing advanced dentistry techniques. Dental restoration is not a single procedure. It is the process of restoring worn, damaged or missing teeth to a functional, healthy and aesthetic state; and can include the use of tooth-colored fillings, crowns, bridges and even dental implants and other treatments. 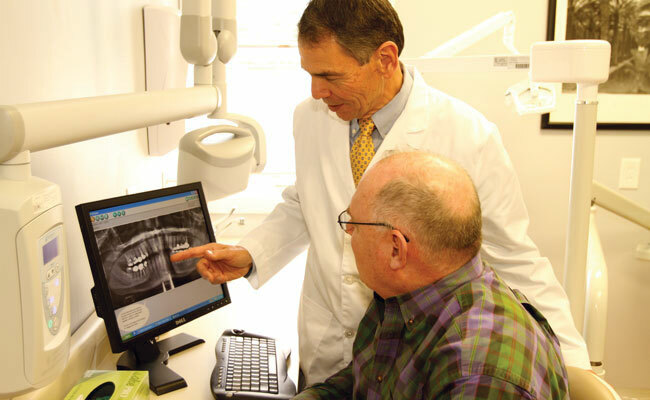 Dr. Charles Flowers has extensive advanced training and over 30 years of experience performing dental restorations. No matter how complex your situation is, Dr. Flowers can give you a new smile that you will be proud to flash. You will get to consult with Dr. Flowers on the best treatment for you. Dental restoration may be needed if you have not visited a dentist in a while and have teeth in need of repair. Dr. Flowers has the advanced technology and dental expertise necessary to comfortably restore your teeth to a healthy condition or replace them if they are missing. Dental restoration can not only create a functional, healthy smile, it can also enhance your overall facial appearance. A straight and healthy smile is in itself rejuvenating. But when the bite is improved, and a full set of teeth are present to support the lower face, it can also act as a facelift. When you have a lot of dental work that needs to be done, it can be a bit intimidating. Dr. Flowers knows this this. He also knows how to make you comfortable and put you at ease. For starters his injections are quite gentle and almost unnoticeable. He will continuously check with you and immediately take care of even the slightest discomfort during your treatment. X-rays are used to properly plan the repair of your teeth. 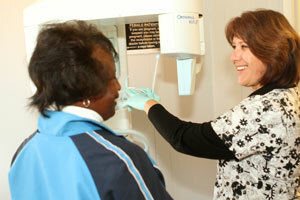 We use low-radiation digital X-rays. Dr. Flowers can quite competently handle even the most complex cases right in his office, no matter how much dental work you need. And along each step of the way he will let you know exactly what to expect. Whatever procedures are needed to restore your smile you can count on Dr. Flowers to use a gentle, minimally-invasive approach. The restorative procedures used will depend on the state of your smile and your preferences. You will not get a bridge, denture, crown, etc. unless you actually need it. People who have severe deterioration of most of their teeth or many missing ones might need a full mouth-reconstruction. This deterioration can be due to a traumatic accident, gum disease, shifting teeth, teeth grinding or just plain dental hygiene neglect. Whatever the cause, Dr. Flowers can help. Full-mouth reconstruction, also known as full-mouth rehabilitation, involves extensive dental restoration of the entire mouth and generally includes a combination of restorative dental procedures. With full-mouth reconstruction all of your teeth are either restored to health or replaced. It not only creates a beautiful, healthy smile, it also enhances overall facial appearance.